Research firm, GfK, has devised a new customer experience research model aimed at bridging the knowledge gap between customer satisfaction and loyalty. 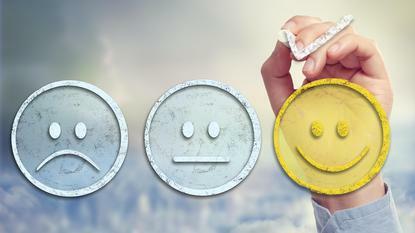 The company’s new customer experience indicator sets out define what it calls a customer’s ‘emotional imprint’. This imprint will be combined with customer advocacy plus other KPIs such as relationship durability and switching, to come up with a clearer picture of a customer’s loyalty to a brand. GfK claims it is currently predicting company level loyalty scores at a rate of 80 per cent, double the rate of using customer satisfaction alone. The research firm also claims its new model proves strong emotional imprints lead to significantly lower rates of customer churn and more positive word-of-mouth. The methodology has been launched in Australia as well as globally this week. In GfK’s recent global R&D trials, undertaken in the fourth quarter of this year across five countries and automotive, retail banking and smartphone sectors, the correlation between a company’s level of customer satisfaction and loyalty was found to be only 40 per cent. “Our new model shows that the more memorable and vivid an experience, the stronger the emotional imprint it creates - and the higher that person's advocacy and resistance to switching to competitors,”GfK global lead for Customer Harmonics, David Robbins, said. “By identifying those aspects of the experience that leave an emotional imprint, we can provide sharper, customer-centric insights on which attributes to promote, to drive loyalty and enhance customer life time value." Robbins told CMO GfK is targeting at all brands, organisations and sectors that have a vested interest in managing customer satisfaction and loyalty including automotive, consumer goods, fashion and lifestyle, financial services, health, media, retail, travel and hospitality, and technology. GfK’s global head of brand and customer experience, Helen Zeitoun, added that the integration of its Customer Harmonics offering with customer experience management technology, GfK Echo, will help clients better manage customer experience at the point of service in real time.